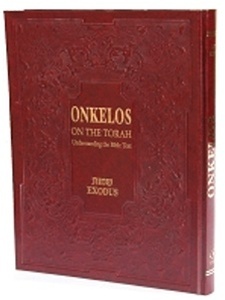 This is the only rabbinically authorized translation of the Bible text in Aramaic. It contains the Hebrew Massoretic text, a vocalized text of Onkelos and Rashi, Haphtarot in Hebrew with an English translation from the Aramaic Targumim, a scholarly appendix, and a - Beyond the Text - explanation of biblical themes. The Book of Exodus has already been published and the remaining volumes will be published in yearly intervals. Israel Drazin is the author of seven books, five of which are on Targum Onkelos. He was the first scholar to recognize that the Targum took hundreds of items from the Tannaitic Midrashim---those that were edited around 400 C.E. Dr. Drazin received a number of rabbinic ordinations, and earned a B.A. in theology, an M.Ed. in Psychology, an M.A. in Hebrew literature, a J.D. in law and a Ph.D. in Aramaic literature. Stanley M. Wagner is Rabbi Emeritus of The Beth HaMedrosh HaGadol-Beth Joseph Congregation in Denver, Colorado; Professor Emeritus at the University of Denver and Founding Director and Director Emeritus of its Center for Judaic Studies. Professor Wagner received six degrees of higher learning from Yeshiva University, including a doctorate in Jewish history. He currently resides in Jerusalem with his wife, Renee.